The Fralin Museum of Art, U.Va. 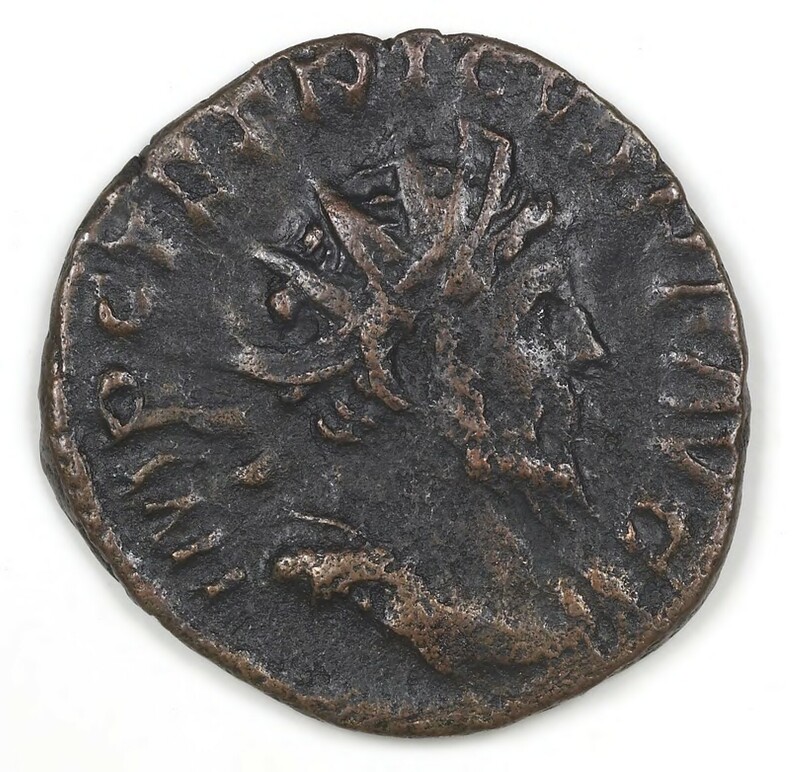 : Antoninianus of Tetricus I, 270-273. 1987.46.23. 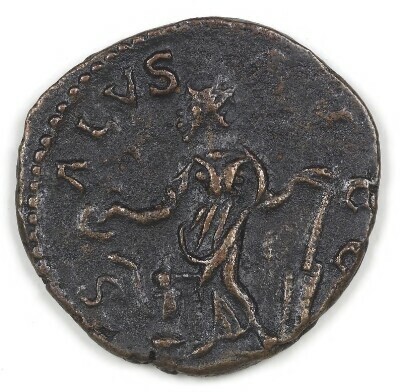 Obverse: IMP(ERATOR) C(AIVS) TETRICVS P(IVS)F(ELIX) AVG(VSTVS) - Radiate head, right; draped, cuirassed. 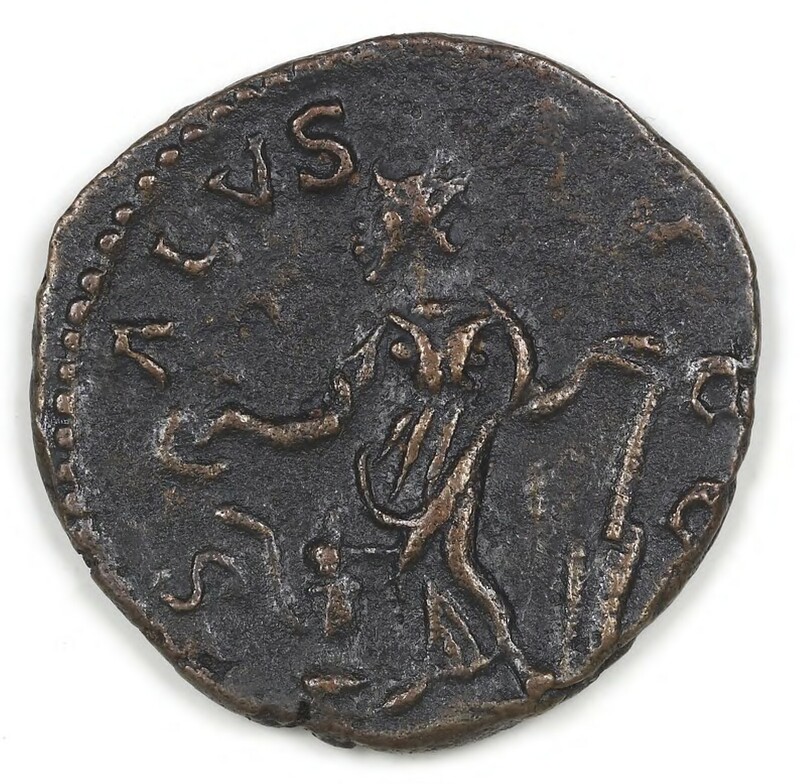 Reverse: SALVS AVGG(VSTI) - Salus standing left, feeding serpent rising from altar out of patera in right hand, holding rudder in left.